Our geese are raised with humane and free-range practices and an absolute prohibition on antibiotics and hormones. The geese are never caged, and live in open barns, subsisting on a diet of corn, soybean meal, greens, vitamins, minerals, and clean water. Our small-scale Midwestern family farms follow careful, time-honored methods to produce geese fit for your special occasion meals. 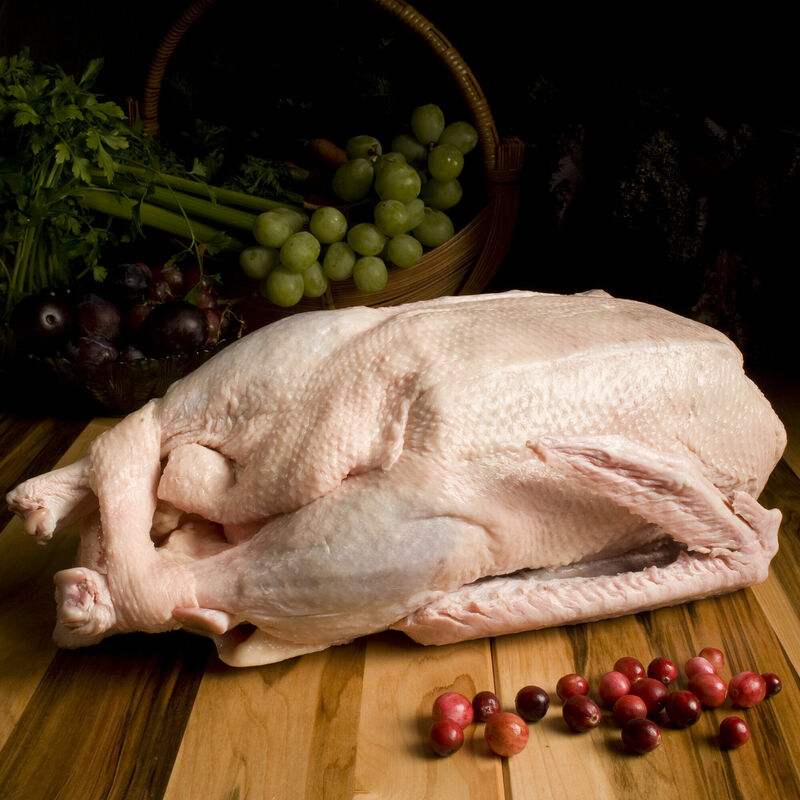 Goose is often compared to duck, with similar lean, dark and richly flavored meat. *Servings based on 1.6 pounds per person. Our mission is to find farmers that share our vision of a more humane and sustainable way of rearing livestock. We build real relationships with our farmers and work only with those who respect nature and focus on the best animal welfare practices. Our geese are raised by a group of small-scale, Midwestern family farms, in a humane, free-range environment where the birds can forage outdoors with full access to shelter. The geese are never caged, and live in open barns, subsisting on a diet of corn, soybean meal, greens, vitamins, minerals, and clean water. Neither antibiotics nor hormones are ever used. Raised to 18-26 weeks of age, the geese are humanely hand-processed.